Tinariwen On World Cafe : World Cafe The Grammy-winning band from Northern Mali performs two sparse songs from its new album, Emmaar. Today's episode of World Cafe features a couple of sparse, dry, angular and beautiful songs, performed live by the band Tinariwen. 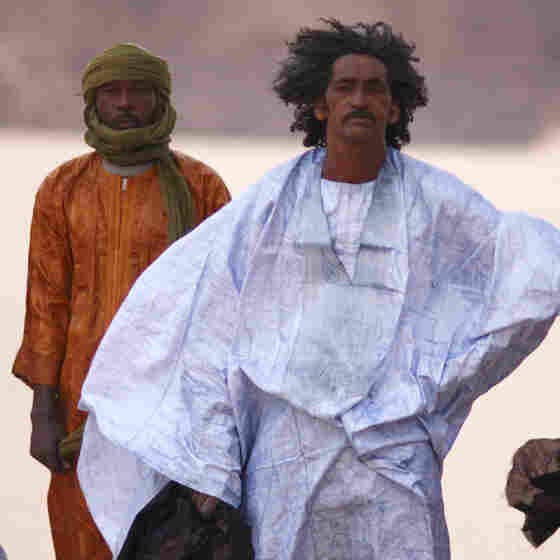 The group, made up of musicians from the Tuareg tribespeople of Northern Mali, has been making music together since 1979. Known for long, trance-inducing concert performances, the band has become increasingly revered in the West. Tinariwen's 2012 album Tassili even won a Grammy. 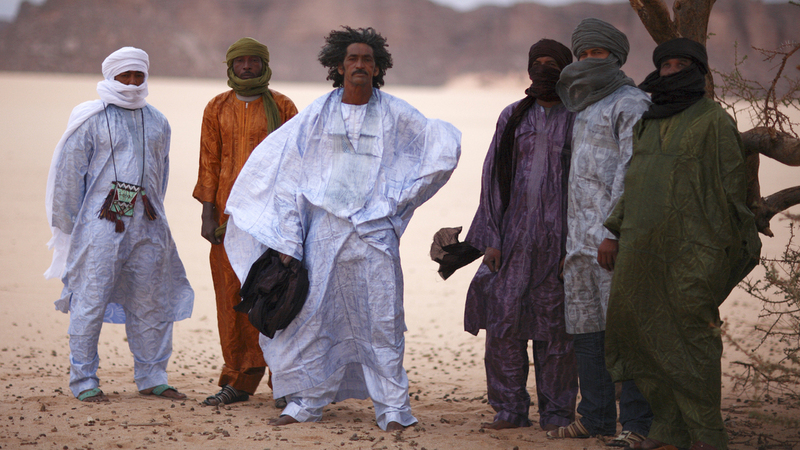 The group's new album, Emmaar, was recorded in the desert the way its predecessors were. But this time, though, due to political strife at home, the desert was one in the Western U.S. Here, we'll hear performances from the stage of World Cafe Live.